The highest grade SUS304 stainless construction used for maximum durability and lightweight applications. The durability not only prevents but protects the downpipe from any stress/heat related premature failure. 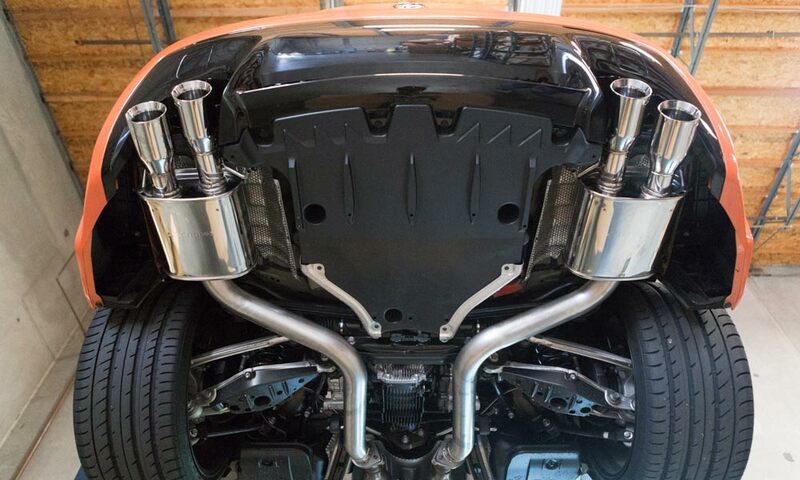 The Advantex internal packing material allows the muffler to reduce sound more with less material, while maintaining extremely high flow characteristics. 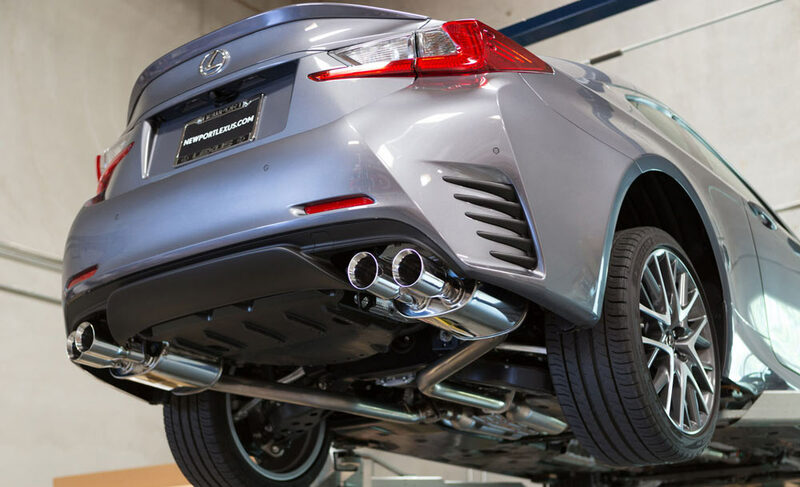 The Tanabe Exhaust system provides a deeper, mellow tone that is easy for the listener. 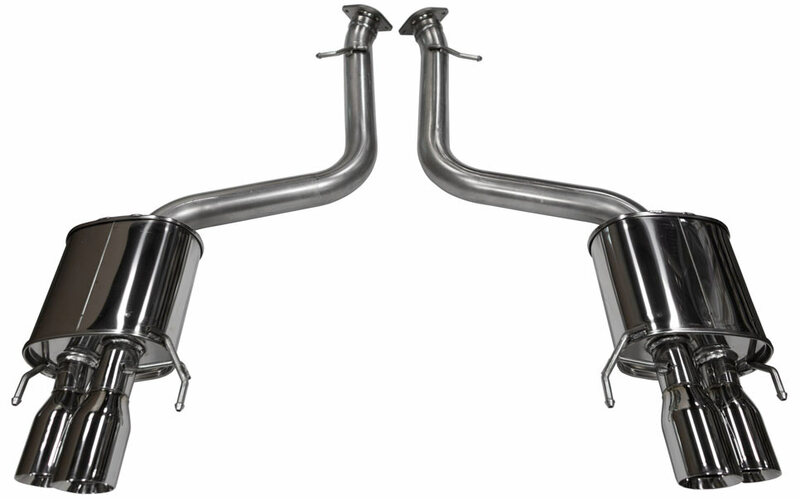 The Tanabe stainless steel exhaust system has an extremely low frequency and deep tone that is under 93lb. The piping wall diameter of 1.2mm allows the weight to be significantly reduced, while remaining durable for extended usage. The pressed SUS304 exhaust flanges on portions of the exhaust system and Hollow Exhaust Hangar helps reduce weight as well.